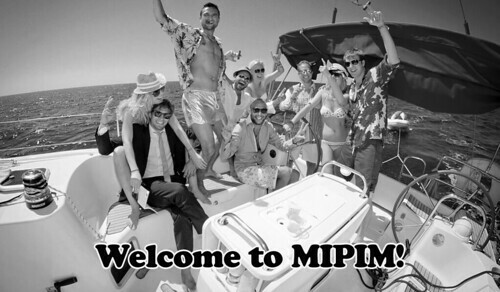 FACTS and FIGURES come crashing into the inbox regarding the Reverend’s recent trip to Cannes to attend the MIPIM property conference. A sort of working holiday on the Côte d’Azur where gullible local authority types can get mugged for their land by property speculators. THREE ‘delegates’ from Bristol City Council went. The Reverend and his two current sidekicks, PR man Kevin “Don’t Mention the Private Education” Slocombe and Colin “Head Boy” Molton. Although we’re told that the Reverend’s Cabinet member for Spatial Planning and City Design Nicola “LA LA” Beech went along paid for by her employer. And the cost of this three-day jaunt to you, dear council tax payer? A mere £9,950! Included in a busy itinerary for these selfless public servants were urgent events such as the ‘ARUP COCKTAIL PARTY‘, the ‘YTL DEVELOPMENTS DINNER‘ and the ‘BOUYGUE – LINKCITY DINNER‘! Tough gigs but, no doubt, someone’s got to spend £10k of our money doing it! This entry was posted in News and tagged Arup, Bouygue, Bristol City Council, Cannes, Colin Molton, Kevin Slocombe, Marvin Rees, MIPIM, Nicials Beech, YTL on July 3, 2018 by thebristolblogger.